Brand imaging is everything. The opinion that the general public has about your company holds a lot of weight. People talk. And they don’t even have to know each other to do it! Each and every day, people jump on their social media accounts to connect with friends, acquaintances and even complete strangers. The likes and dislikes of a person are very easily made known these days. Where does your company fit in such conversations? 1. Expand your social media activity. We just mentioned that social media make very popular ways for people to share news and opinions these days. Your company should certainly be doing its part to stay active on social media through such accounts as Facebook and Twitter. However, these two are obviously not the only types of accounts out there. 2. Host a contest this summer. Needless to say, the upcoming summertime will present ample opportunities for you to welcome new customers through the doors of your store. But, we’ve been saying it anyway! Last week, we posted a number of blogs detailing ways that you can turn the summer into your most lucrative time of year. One way to do that is to host a contest to inject excitement into those who hear the mention of your brand. 3. Start writing a blog if you haven’t done so already. Earlier this month, Synergy Marketing celebrated its 200th follower on Twitter. As of this writing, we’re sitting at 219. Now, you don’t have to tell us that that isn’t a huge number. However, it’s proof of our growth on social media. Thanks to our daily blogs (which have their links posted on Facebook and Twitter each day), we’ve been able to gain new followers and greater website traffic. 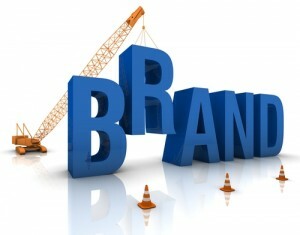 Be sure to check back for tomorrow’s blog as we continue to list ways to boost your brand’s image!